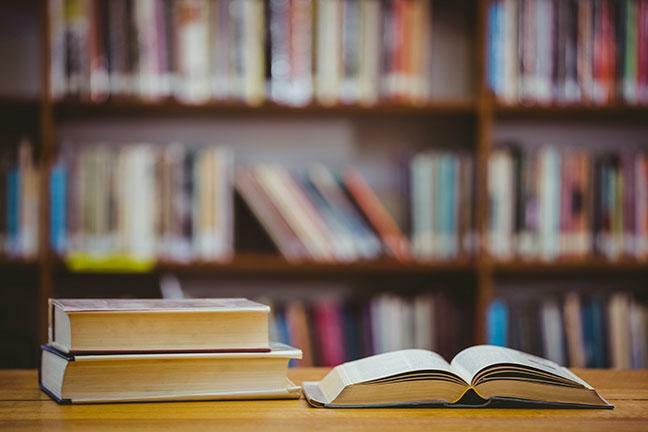 For many people who’ve had to purchase textbooks for a favorite class or in order to fulfill a degree requirement, the amount of editions that a given textbook can cycle through over a relatively short period of time can be astonishing. Pick up the wrong edition at the place where universities sell textbooks, in other words, and you might be studying the wrong facts for your big exam. Like anyone else, there are a myriad of ways in which scientists can sometimes get their conceptions about the world wrong, and in the world of scientific discovery it’s a given that major theories will be eventually overturned as new information comes to light. Here are just three times when science was on the wrong side of the facts! 3 3. Aristotle: More Wrong Than Right? For centuries before Albert Einstein took the science world by storm, Newtonian physics were the gold standard in analyzing the movement of the heavens. Isaac Newton had worked out a system of gravity that simplified the tendency of large masses to pull towards one another, and he even created simple equations that would explain how a planet like Earth might circle the Sun due to the mass of the two bodies. That all changed when Einstein created his theory of relativity, from which we could infer that large masses such as stars actually bend the dimensions of space and time, pulling objects such as planets into their orbit in the same way that a cue ball or similar object would be “pulled in” by the depressions within a rubber sheet. Einstein’s theory was proven correct when scientists observing a solar eclipse noticed that the mass of the sun bent spacetime and caused the light from a star “behind” the sun to curve around the sun’s mass and appear in a different place in the sky. From that day forward, every science textbook explaining Newtonian gravity as the cause of planetary motion would need to be rewritten, an event that the writers of science textbooks were probably not happy about! Before Nicolaus Copernicus overturned the concept of “geocentrism,” that is, a model of the universe in which the Earth is the central object around which planets, moons, and stars revolve, scientists had to rely on a concept of planetary motion that did not make much sense when looked at as a whole system. In order to view the universe as being structured around the Earth, for example, bizarre inconsistencies in the observation of the night sky such as the tendency of the planet Mars to periodically move “backwards” in its orbit puzzled astronomers to no end. Explaining such inconsistencies by pointing out that they became sensical once the Sun was placed at the center of the solar system, Copernicus upended “common sense” scientific theories that had been used since the Roman Empire. Needless to say, the scientific field of astronomy has not been the same since. Indeed, with his “heliocentric” conception of the universe, Copernicus kickstarted what we now know as the Scientific Revolution, in which Europe took its first major steps out of the Dark Ages to reclaim reason and science as entities distinct from superstition. Copernicus’s theories were not without their critics, however, and no less a figure than Galileo would later face persecution and charges of heresy from the Establishment of his day for building on Copernicus’s model of the universe in contradiction to established teachings. In singlehandedly wiping out over a thousand years’ worth of textbooks on astronomy, however, Copernicus has to rank as one of the most revolutionary figures in all of science, as well as a serious headache to medieval librarians across Europe! 3. Aristotle: More Wrong Than Right? No history of science or philosophy would be complete without a description of the great thinker Aristotle’s theories. A philosopher during one of Ancient Greece’s golden ages, Aristotle was the student of Plato and would in turn go on to teach Alexander the Great, establishing Aristotle as one of the greatest minds to ever walk the earth. As you might expect from someone living around 2000 years before Isaac Newton, however, Aristotle also got a lot of things wrong, including his bizarre assertions that donkeys stopped eating because lizards would crawl into their nasal cavities and that eels spontaneously emerge from mud rather than being hatched. Aristotle was a great thinker, but he is one of the definitive examples of brilliant scientific minds getting the facts wrong. For these reasons, it’s clearly the case that scientists on the whole are hardly infallible, as even a cursory examination of some of the greatest thinkers in history will show. Even the most up-to-date textbook will likely have some of its major theories revised at some point, and it is certainly not unheard of for established theories to go by the wayside in the wake of a new thinker’s observations every few years. For someone looking to sell textbooks, it certainly helps to know whether the editions they’re using are up to date. It certainly won’t do to take a class on Einstein’s theory of gravity with a textbook extolling the virtues of Newtonian physics! While it may be confusing for people needing to buy the latest edition of a given textbook, the good news is that the passing of the scientific torch from one generation to the next and a willingness to let go of old worldviews have enabled humankind to do everything from walk on the moon to eradicate smallpox and polio. Scientists can get things wrong, to be sure, but it is all a part of the process of eventually getting it right. And that is science at its best!